Today, Google has finally answered the calls of those who require prescription eyewear to see, launching a new add-on for Google Glass that allows corrective lenses to be used with the high-tech eyepiece. The four frames are available now for $225 a pop, which brings the total cost of the eyewear up to $1724 after factoring in the Glass hardware itself. Known as the "Titanium collection" after the metal each frame is constructed from, the four frame styles were designed in-house by Google, and have the necessary shape and screw hole for mounting Glass. They're just frames though: if you require corrective lenses, you'll need to get those produced by your local optometrist, likely for an additional cost. The choice of only four frames for Glass may seem restrictive, but Glass lead designer Isabelle Olsson assured The Verge that the slate-colored design - plus your choice of accent color to match the color of your Glass unit - suits the hardware quite well. Unfortunately the frames haven't been designed to work without Glass attached, so any buyers will probably still need to have a traditional pair of glasses on hand for when Glass runs out of battery. 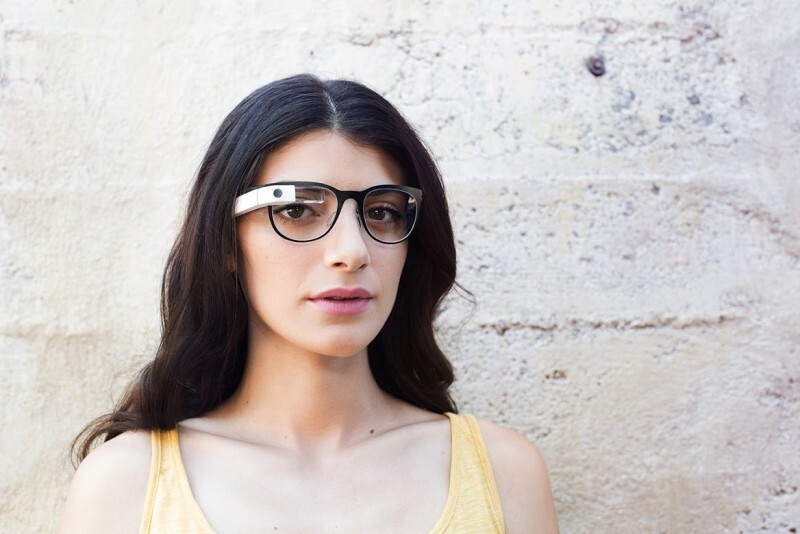 Now Glass is suited to a much wider range of people, Google is planning on expanding the Explorer program so more people can get the opportunity to try out the product. Titanium collection Glass frames should be available sometime today, so check back on the Glass Google+ page later for a full announcement and purchase link.